My friend Becky phoned me a while ago with a deep question. She wanted to know why–if she and her husband were “one” person–why did they have such different thoughts regarding what they should spend their money and their time on? She told me, “If we are in unity and oneness shouldn’t we both have the same dreams?” Becky wants to be a missionary and her husband wants to build a real estate empire (well, a small empire). As you can imagine, these two extremely different dreams can cause a bit of friction in any relationship. (I like to think of it more as “adventure,” but Becky probably sees it more as friction.) But Becky was serious. She was asking me, “Why is getting along with another person so darn difficult? Why would God bring together two completely different people? !” Well, I didn’t have any gems of wisdom to share with Becky; after all, I love writing children’s books and Bible studies whereas my husband is a business manager. But I did tell Becky one thing that I’ve noticed over my years of being married…and that is we don’t morph into our spouse after we get married. In other words, we don’t become “one personality.” We are constantly two people who are joined by the bond of love. That bond creates unity, a oneness. However, despite our sharing in the same “Bond of Love,” we are still stuck with our (sometimes quirky) personalities and our own wonderful dreams and our unique gifts. Whether we like it or not. Which brings me to the uniqueness of the Trinity. The trinity consist of three individuals: Father, Son, and Spirit and they dwell “in” one another. Love connects them all and units them all. 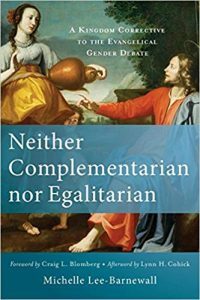 All together this trinitarian God lives and moves and creates–and they do it without devaluing each other. But make no mistake, they are still three persons. When I was a young girl, I grew up with a grandmother who fought for Indian women’s rights. The cause my grandmother was fighting for back then (in the 1970s) was asking the Canadian government to view native (First Nation) women as their own persons, with their own nationality, voice, and individual rights intact. The government, at the time, saw women as mere extensions of the men they married. In their view only the man’s voice, nationality, and rights remained intact. [GO HERE TO LEARN MORE] Therefore, the man was the person and the woman was a part of that person. Later, I noticed (after I became a Christian and began attending church) that Christians were doing the same thing with the Holy Spirit. Instead of seeing the Spirit as a “person,” the Spirit was simply the spirit of Jesus–which meant the spirit was an extension of Jesus. Accordingly, when Jesus left earth he sent his invisible “self” to guide us. Or the spirit was God’s “power,” an extension of the Father’s arm, touching the lives of people as an invisible force. Very little of the Spirit was actually (her) own person. If I dared ask a question regarding this mysterious person, I was told again and again that the Spirit did not want to be noticed, did not want to be known. The Spirit wanted only Christ to be seen. But I wasn’t so sure about this. After all, my grandmother’s struggle had taught me something: just because we ignore someone doesn’t mean they won’t eventually break free of our beliefs and say, “Here I am!”And this is what is happening within the church. 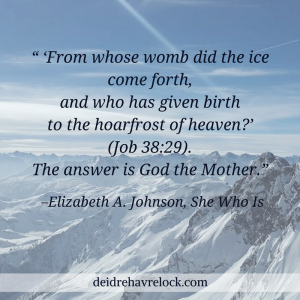 Today women are saying, “Here I am!” I am a person!” I have dreams, visions, skills (that lie outside the walls of home and family)… I will no longer be ignored or trivialized or marginalized… why? 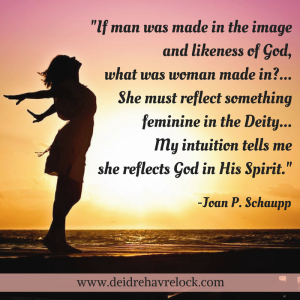 Because I (woman) know it is in your best interest if I am seen and heard and made a fully functioning partner.” And accordingly, the Holy Spirit is moving with these woman intent on letting herself be seen and known as a person. And ever since I first read about the Spirit, I have wanted to get to know this person. 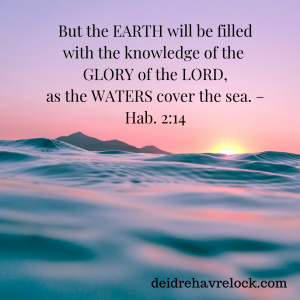 What does the Holy Spirit think? What does the Spirit dream? What matters to the Holy Spirit? 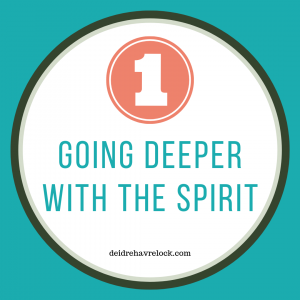 In drawing close to the Spirit–who is literally “God on earth”–I am drawing closer to God. Ultimately, I refuse to believe that the Holy Spirit does not want to be noticed or known. The Spirit was sent to us by Jesus so we would not be alone. There is a person standing behind the veil we created. And it has been my pleasure and honor to get to know her–the Spirit of life, the Helper. Next articleBreaking Down Bad Teaching–Men Are The Leaders?